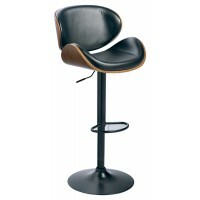 Here's a bar stool that rises to the occasion. 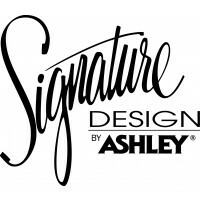 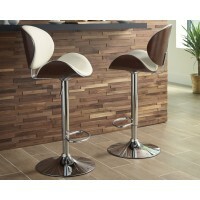 It is sleek and modern-meets-retro with chrome-tone accents, quick curves and a contrasting brown finish. Bone-colored faux leather upholstery elevates this barstool. 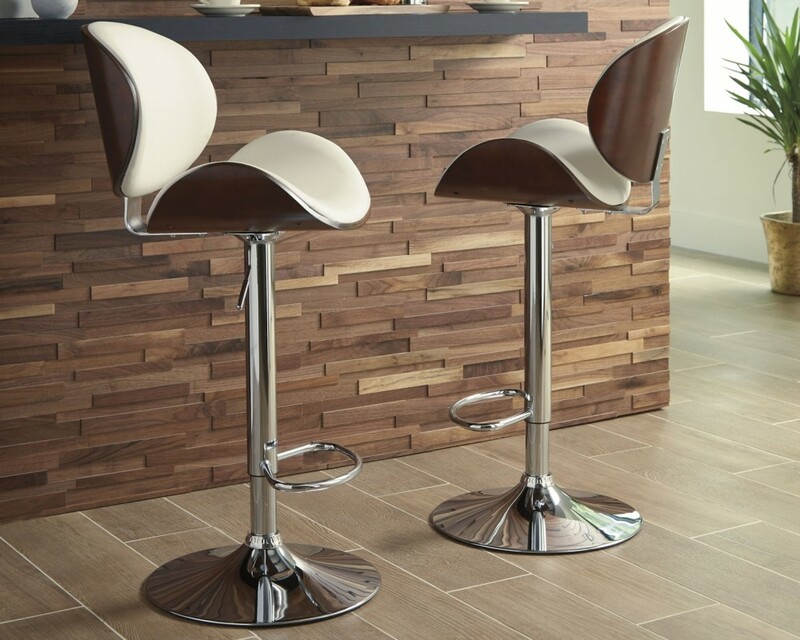 Influenced by a cool 70s vibe, it easily adjusts from counter to pub height, making the stool as versatile as it is attractive. 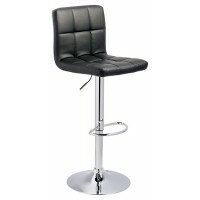 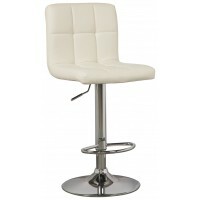 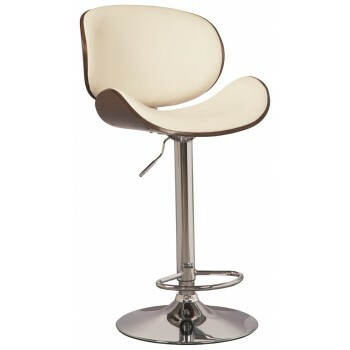 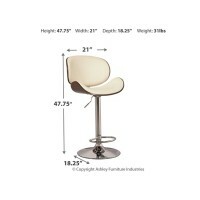 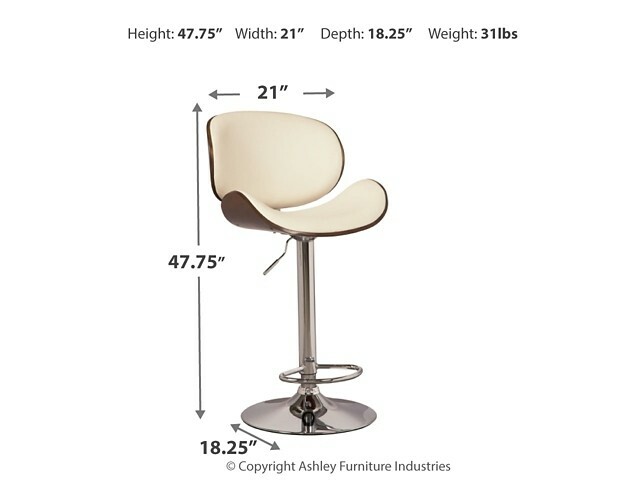 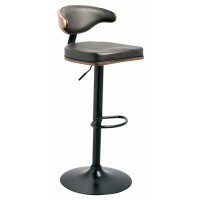 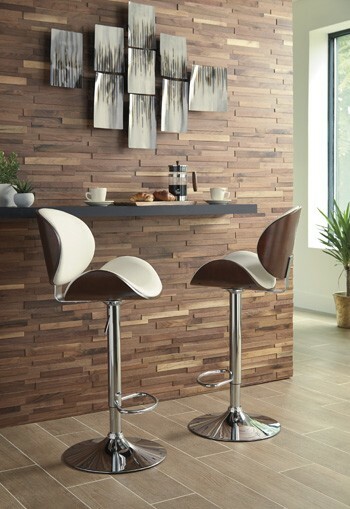 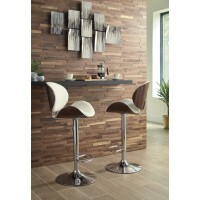 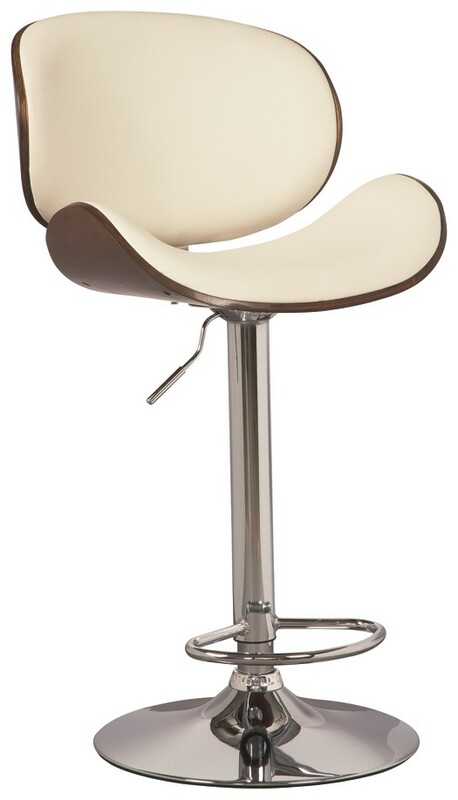 This tall swivel barstool is a perfect seat for any trendy home bar or game room.